These crab cakes are mostly protein. Add some fat and carbohydrates such as a side of cooked grains or fresh fruit to make it balanced and stabilize your blood sugar. Dysphagia Level 3 – Soft – after baking, omit broiling step. Serve cakes according to recipe, top with a sauce made with Greek yogurt, lemon juice, and mustard for extra moisture if desired. Omit parsley garnish. Preheat oven to 450F. Using a pastry brush, coat cavities of muffin tin with olive oil and set aside. Combine all ingredients (crabmeat through ground flaxseed) in a large bowl. Scoop evenly into muffin tins and bake for 20 min or until tops begin to brown. 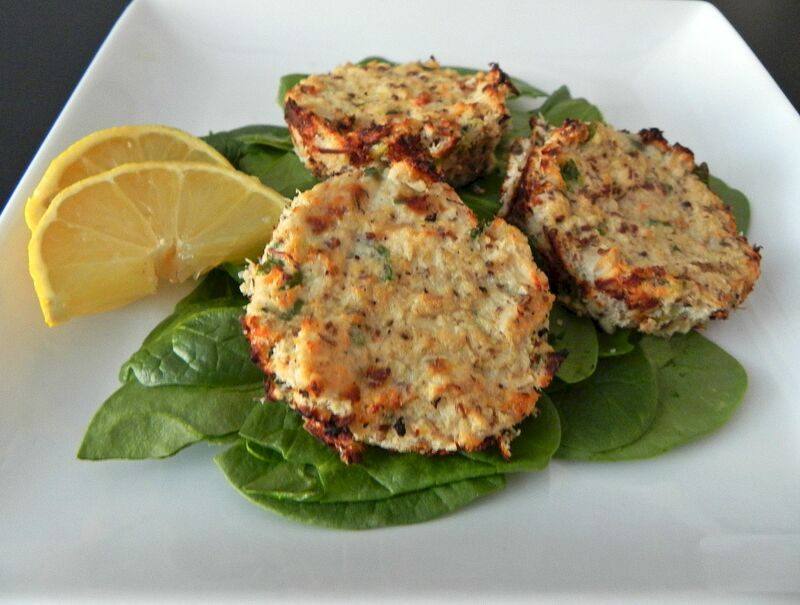 Place crab cakes under the broiler for an additional 3-4 minutes until tops are slightly crispy. Garnish cakes with chopped parsley, if desired, and serve on top of fresh greens or steamed spinach. Since they are small, they re-heat well in the microwave for 1-2 minutes. They are also great to add to a salad for lunch! Any tips on re-heating leftovers? These sound delicious! !